IRS lien letter recipients: our tax representation firm represents taxpayers with unpaid back taxes, or unfiled tax returns, we can release wage garnishments and bank levies. We resolve complex tax problems and negotiate the lowest settlement allowed by law. Beware of companies advertising on the radio, TV, internet and through direct mail. They use scare tactics and you usually end up with a much bigger problem. 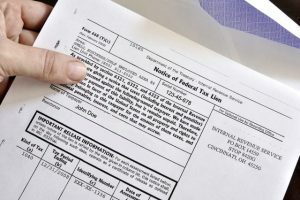 IRS tax liens are on the rise, and the IRS recently announced that they are hiring 700 revenue officers and revenue agents to step up their tax liens, audits and tax levy actions on delinquent taxpayers. Do not be victims of false advertising; be careful who you hire as your power of attorney / representative form 2848. IRS Commissioner John Koskinen told IRS employees: This will mark “the first significant enforcement hiring in over five years,” Koskinen. The initial wave of hiring will fill entry-level positions and focus on bolstering enforcement efforts, primarily in the Small Business/Self-Employed Division. Koskinen expects the second wave to fill higher-level positions in Appeals and in the Large Business and International, Small Business/Self-Employed and Tax-Exempt and Government Entities Divisions. “While adding 700 new enforcement hires will not replace those who have left, it will help fill key gaps in our enforcement workforce created by years of attrition and will provide existing employees promotion and developmental opportunities, including serving as mentors and instructors for the new staff,” Koskinen wrote. 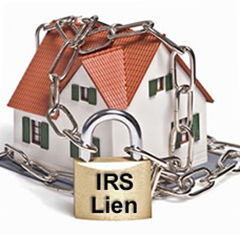 Did you receive an IRS lien or an IRS levy? Know your rights. Back taxes: If the IRS pursues to collect overdue taxes from you, you have rights. If you owe tax but can’t pay in full (taxes, penalties and interest), you may be able to pay in installments, lump sum settlements or appeal the collection action (levy or lien). IRS audits: The IRS accepts most returns as filed but if your tax return is audited, you have rights. If the IRS proposes additional tax, penalties and interest, and you don’t agree that you owe it, you have the right to challenge that decision. Taxpayers have the right to know what they need to do to comply with the tax laws. They are entitled to clear explanations of the law and IRS procedures in all tax forms, instructions, publications, notices and correspondence. They have the right to be informed of IRS decisions about their tax accounts and to receive clear explanations of the outcomes. Taxpayers have the right to receive prompt, courteous and professional assistance in their dealings with the IRS, to be spoken to in a way they can easily understand, to receive clear and easily understandable communications from the IRS, and to have a way to file complaints about inadequate service. Taxpayers have the right to raise objections and provide additional documentation in response to IRS actions or proposed actions, to expect that the IRS will consider their objections and documentation promptly and impartially, and to receive a written response if the IRS finds them insufficient. Taxpayers are entitled to a prompt and impartial administrative appeal of IRS actions and have the right to receive a written response explaining the Appeals Division’s decision. Taxpayers generally have the right to take their cases to court to challenge an adverse final determination. Taxpayers have the right to expect that any IRS inquiry, examination or enforcement action will comply with the law and be no more intrusive than necessary, and will respect all due process rights, including search and seizure protections and a collection due process hearing where applicable. Resolve your tax problem today! Call us at 1-877-78-TAXES [1-877-788-2937]. The IRS Fresh Start program makes it doable for delinquent taxpayers to resolve back taxes and avoid tax liens, and small business taxpayers could benefit from the Fresh Start program. Installment Agreements. The Fresh Start program expanded access to streamlined installment agreements. Now, individual taxpayers who owe up to $50,000 can pay through monthly direct debit payments for up to 72 months (six years). While the IRS generally will not need a financial statement, they may need some financial information from the taxpayer. Taxpayers in need of installment agreements for tax debts more than $50,000 or longer than six years still need to provide the IRS with a financial statement. In these cases, the IRS may ask for one of two forms: either Collection Information Statement, Form 433-A or Form 433-F.
Offers in Compromise. An Offer in Compromise is an agreement that allows taxpayers to settle their tax debt for less than the full amount. Fresh Start expanded and streamlined the OIC program. The IRS now has more flexibility when analyzing a taxpayer’s ability to pay. This makes the offer program available to a larger group of taxpayers. Generally, the IRS will accept an offer if it represents the most the agency can expect to collect within a reasonable period of time. The IRS will not accept an offer if it believes that the taxpayer can pay the amount owed in full as a lump sum or through a payment agreement. The IRS looks at several factors, including the taxpayer’s income and assets, to make a decision regarding the taxpayer’s ability to pay.